I don't know if any of you have been cooking along with Second Sunday San Antonio or not, but I sure have! 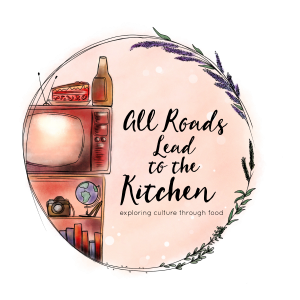 This is a monthly event that consists of cooking a chosen recipe from Gloria Chadwick's cookbook Foods & Flavors of San Antonio. 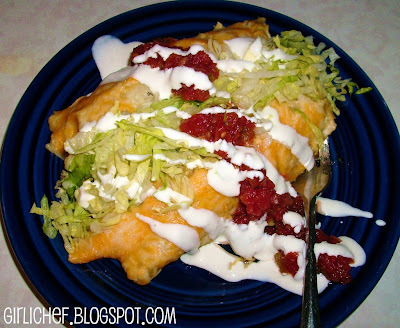 Last month's recipe was Mexican Pork Chops (or chicken "chops") and since Chef Bliss was the first to post her version, she was the lucky one to choose this months recipe...Pork Enchiladas with Tomatillo Sauce. I jumped right on it (I love a good competition...and I want to be the one to choose next month's recipe...fingers crossed). Pork Enchiladas w/ Tomatillo Sauce by Gloria Chadwick from Foods & Flavors of San Antonio (w/ a couple of tweaks) 1 1/4 lb. pork shoulder, diced 2 Tbs. vegetable oil 1 medium onion, chopped 2 garlic cloves, crushed 2 Serrano chills 2 c. drained, canned tomatillos (I used fresh, then cooked them) 6 corn tortillas 3/4 c. Mexican Cheese blend I also tripled this recipe...knew once wouldn't feed us :) Preheat oven to 350 degrees F. Spray a 13 x 9 pan. 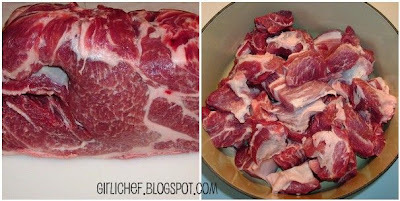 Put pork in a large pot and cover by about an inch w/ cold water. Bring to a boil and simmer for about 40 minutes, or until fork tender. Since I cannot find canned tomatillos anywhere in my area, I used enough to make up about 6 cups. I put them in water to cover and simmered until just soft. Heat oil in a 12" skillet. Saute onion & garlic for a couple of minutes. Add serranos and tomatillos. Cook down, stirring to break up tomatillos for about 10 minutes, or until reduced a bit. Transfer to blender and blend into a sauce. 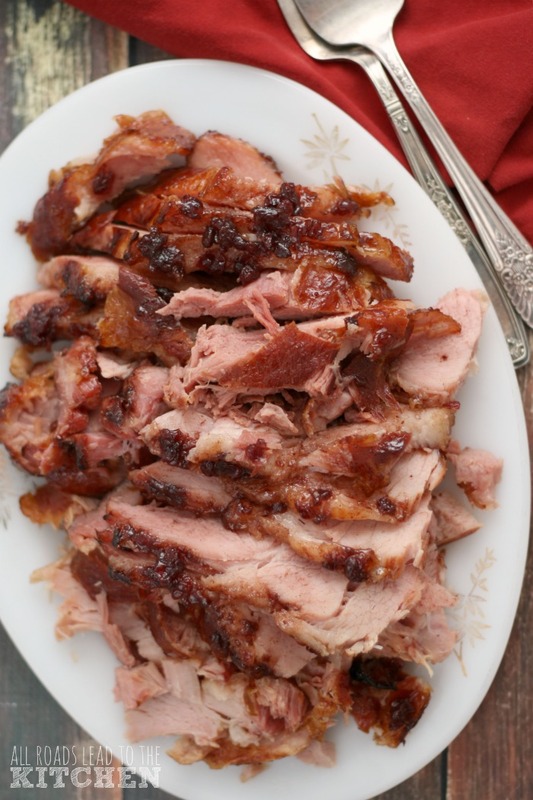 Once pork is cool enough to handle, shred with a fork. I added a healthy dose of sea salt and black pepper to season. Divide filling among tortillas (I warmed them up in microwave first, wrapped in kitchen towel, to make them more pliable). Roll and place seam down in prepared pan. Pour sauce over all and then sprinkle cheese over them. Bake for about 25-30 minutes or until hot & slightly bubbly. Serve with your favorite toppings. I used lettuce, cream and salsa. Delicious. There is still plenty of time to make this recipe and join in the Tex-Mex fun this month. Recipes aren't due until May 10. 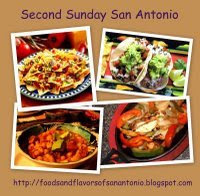 Come on and join in the fiesta...Second Sunday San Antonio! 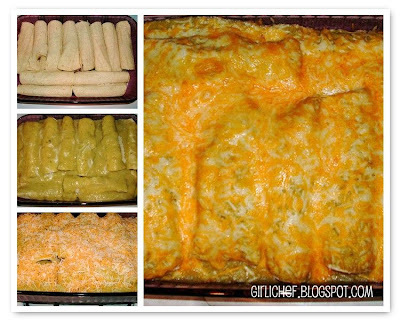 I only JUST blogged about how I've never tried enchiladas! I'm saving this recipe for sure and will make it once I return to america and can find all the ingredients I need! thank you! you're a godsend! This looks wonderful!! Absolutely delicious. Love your collage photos.. You deserve to pick next month, this is beyond awesome. Great job, Heather! 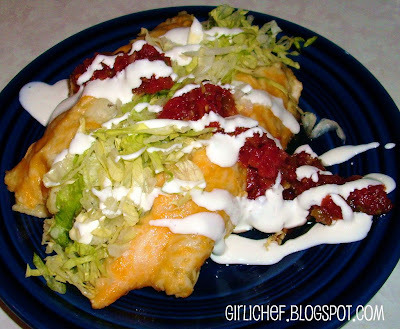 I love enchiladas and am eager to make this recipe for Second Sunday San Antonio. ...b&s and jennifer- definitely try these, they were so tasty! ...carole- def. do not skip this one, it's worth making. ...gloria- thanks so much. i should have taken a photo of the inside cuz it was so moist and tempting, but once I put down the camera to eat, that was it! 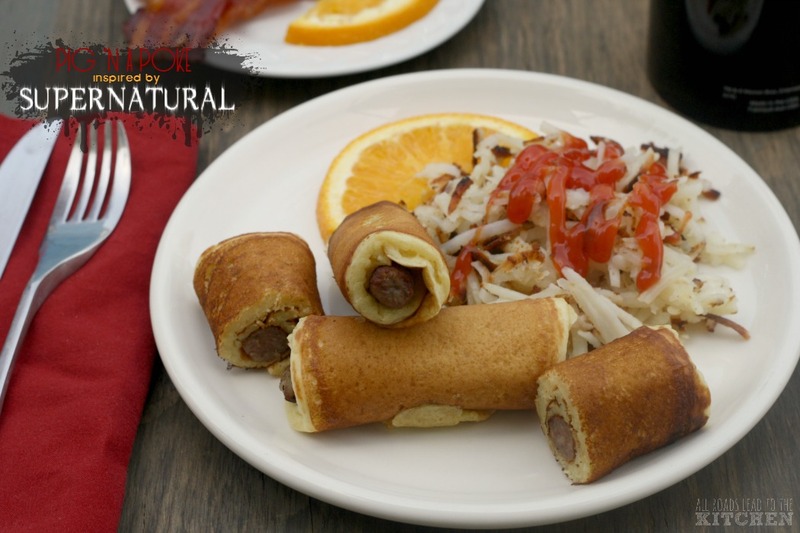 I am drooooooooooooooling, these look SO good!! Seriously, SO GOOD. I must be craving salty foods in the worse way and I'm not even pregnant, sigh. Oh, YUM. Mexican food is a downfall of mine, and these enchiladas look fantastic. Beautiful job! I love tomatillos but have a hard time finding them where I am. mmmm. 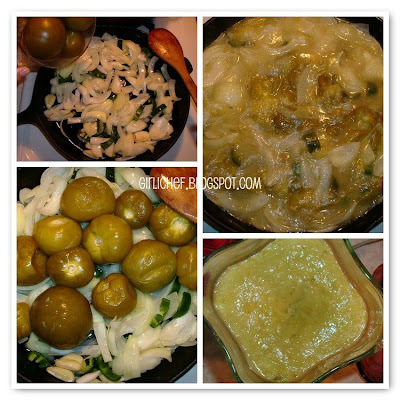 those tomatillos are gorgeous! i have to try and make this for nick! he would love that sauce!! That looks so good. Pork and tomatillo sauce go so well together! Move over or cover yourself, because I feel like diving right into that plate and I might make a mess, but I will have a tomatillo smile! Have I mentioned before that I would love to have you come and cook for my family every day?! That looks soooo Yummy! Is it something a not so good cook could handle? Those enchiladas look divine. 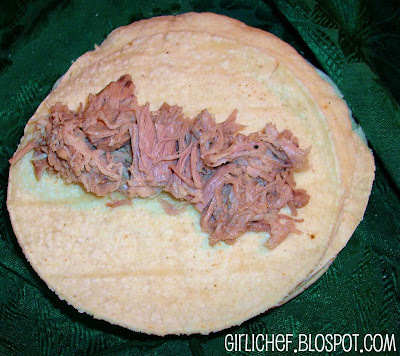 I go crazy for pork and deliciously tender shredded pork in tomatillo sauce smothered with cheese sounds heavenly! This looks delicious! I always forget pork and seem to go for chicken or beef. Maybe I use pork next time! Love your photos!! Can I come to your house for dinner, PLEASE!!! I think that about says it all. 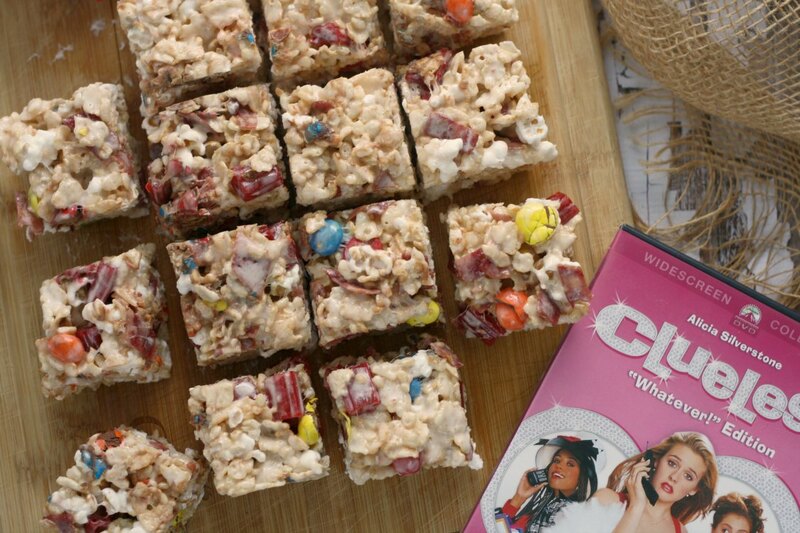 These look so yummy!! Such a cozy comfort meal. I hope you get to pick!!! These look amazing! Pork goes so well with tomatillo sauce, it's been too long since I made enchiladas. Delicious! 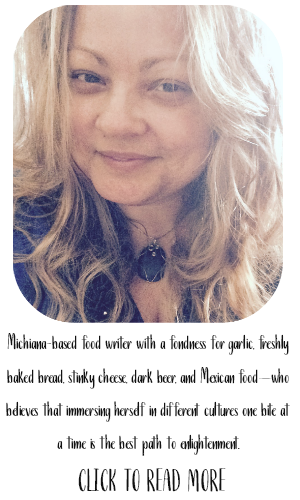 Love fresh enchiladas - key word being fresh and your are beautiful. Delicious!! Thanks for lighting the way. 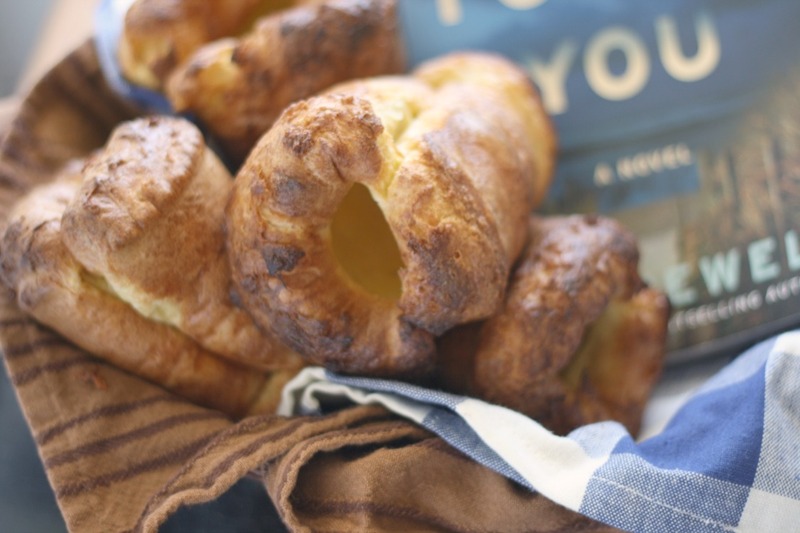 I have the page bookmarked and want to make these before Sunday. I've made chicken and beef enchiladas, but not pork. They sound so good. 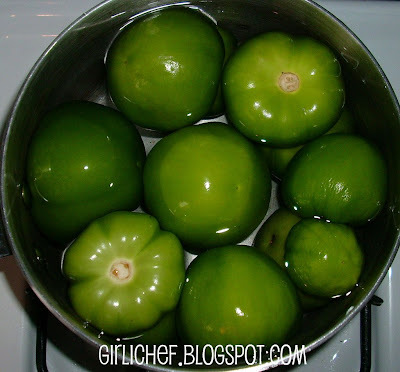 I'll probably use fresh tomatillos as well since I can't seem to find them canned either. That platter of gorgeous food stopped me in my tracks and made me want to start eating my screen!